What is Upcycling? 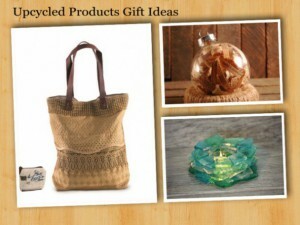 Upcycling is a process that converts unusable remains of byproducts into appealing and beautiful new products. The new products are of better quality and are beneficial for the environment. It is not the same as recycling, where consumer materials like glass, paper, metal and plastic are broken down to a lesser quality product. Upcycling doesn’t break down the materials. Instead, these old materials are reshaped, refashioned and used again. The upcycled items are usually of the same or better quality. How does this impact the environment? The purpose of upcycling is to avoid wasting of possibly good and useful materials by making use of existing ones. Bringing down the consumption of new materials helps with reductions of energy use and pollution which lead to an important step in preserving our environment. Truly original bag made from upcycled materials that travelled the world. Interesting and perfectly usable fabric gives this bag its one-of-a-kind look. Waste Not is the belief behind every Mona B bag. Their goal is to reduce and reuse some of the product waste out there. Trash for someone might not be seen as a trash for another. Mona B’s bags collection is about fashion and is Earth friendly. Those one-of-a-kind upcycled jewels are absolutely original. 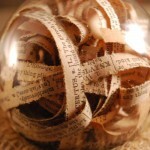 Have you seen an ornament so unique that brings back life to an old book? Creative way that makes a memorable gift and how it is made? Instead of disposing of old books which can no longer be used this creative artist has come up with the idea of bringing them back to life by upcycling the pages and designing truly incredible decoration. Beach Glass Candle Holder for Tea Light or Votive the Beach Glass Candle Holder for Tea Light or Votive. Beautiful and unique the Beach Glass Candle holders are the perfect gift for someone who loves candles and would enjoy the beautiful shades teal and white cultured sea glass. How can you get one? Treasure or trash, the process of upcycling has demonstrated significant growth across the United States. Wouldn’t be nice to live in a world without a waste? This is a great idea and more people should choose this kind of products. Earth is struggling from resource exhaustion. This is perfect – BEAUTIFUL AND ECO FRIENDLY! Hi, Dan! Thank you for stopping by and commenting. I agree with you that is why I would like to include more eco-friendly products on my website!